Learn Weaving Basics from Maryanne Moodie this Fall in NYC, LA, and more! 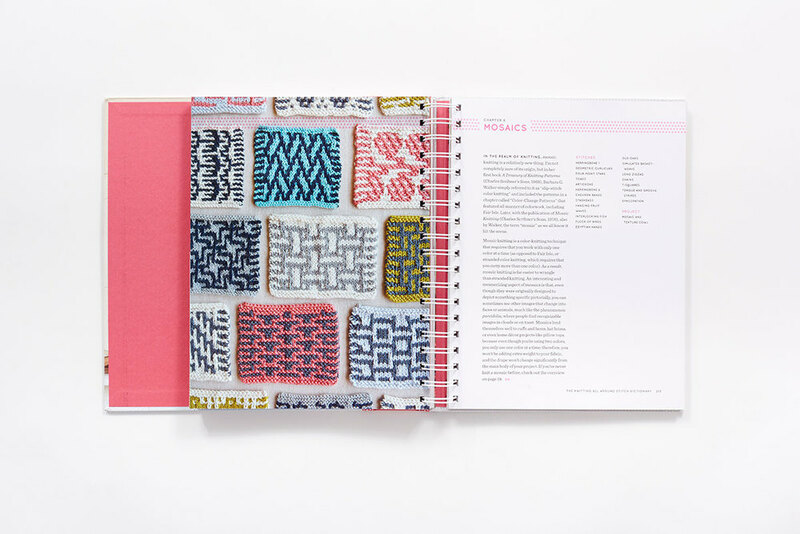 Weaving lies at the border of art and craft and in On the Loom, Maryanne Moodie brings the ancient art of weaving to the modern day in a comprehensive guide packed with step-by-step tutorials and beautiful photography. Split by loom type—circular, rectangular, and even found objects—24 lush, bohemian, and uniquely modern projects for the home and to wear draw deeply on the nostalgic quality of vintage textiles. Fringed Place Mats: This perfect place setting makes a warm, inviting dinner party. With a cardboard loom and neutral yarn, you can personalize your dining room. 2. Wrapped Lampshade: Give any room a warm glow with a textile-wrapped lampshade. 3. Wall Hanging: Use T-shirt yarn, muslin, and scraps of leftover fabrics to create a unique focal point in your room. Learn how to weave these projects and many, many more by purchasing a copy of On the Loom or attending a class with Maryanne Moodie. Join Maryanne Moodie at her launch party and weaving classes in New York and California. Learn more about her classes here. Clara Parkes is knitting her way to a city near you on the Knitlandia tour! Beloved knitter and author Clara Parkes has been charming readers across the globe with her heartwarming, hilarious, and humble tales of a life in knitting. In her latest memoir, Knitlandia: A Knitter Sees the World, Parkes weaves her personal blend of wisdom and humor into this eloquently down-to-earth guide that is part personal travel narrative and part cultural history, touching the heart of what it means to live creatively. Building on the success of The Yarn Whisperer, Parkes’s rich personal essays invite readers and devoted crafters on excursions to be savored, from a guide who quickly comes to feel like a trusted confidante. Join Clara as she takes you along on 17 of her most memorable journeys across the globe over the last 15 years, with stories spanning from the fjords of Iceland to a cozy yarn shop in Paris’s 13th arrondissement. ...And now you can join her in real time as she celebrates the release of Knitlandia on 2/16—coming to a city near you starting next week! As an added bonus, if you purchase a book at any of the tour stops, you'll get a free (and very cute, in our humble opinion) gift with purchase! Plus, you'll be supporting local indie booksellers—a win for everyone! Can't make it to the tour? You can still follow along online with Clara's blog tour! We'll post an updated tour schedule later this month, with "tour stops" beginning 2/22. Check back for more info! Lotta Jansdotter's blog tour is now live PLUS these NYC events! Dec 15 – CraftSanity BONUS: check out their recent podcast feat. Lotta! 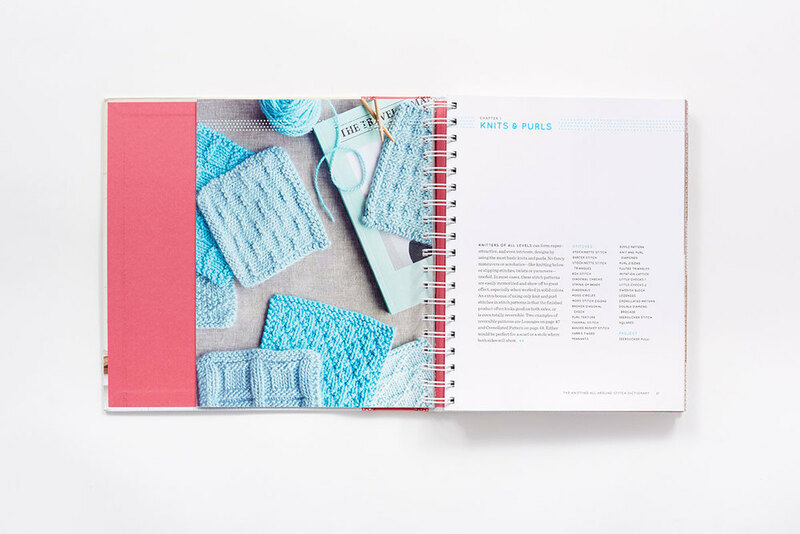 All stops on this month's tour feature talented creators and makers sharing a version of their simple sewing projects from the book. All blogs will also feature a giveaway! Check out each stop for a new chance to win a copy of the book, Lotta Jansdotter fabrics from Windham Fabrics, and Lotta-branded temporary tattoos from Tattly! As an added bonus for NYC-based crafters: On 3 consecutive Saturdays (Dec 5, 12 and 19) from 12-4, Lotta’s Brooklyn studio and shop will be open for book signings, studio visits, and a trunk show! Stop by 131 8th Street in Brooklyn or visit http://jansdotter.com/studio/ for more info. We're also thrilled to invite you to a free fabric bracelet workshop and book signing at Purl Soho in NYC! We hope you can join us in person and on the web! The Modern Natural Dyer hits stores this week, plus a blog tour and chance to win! 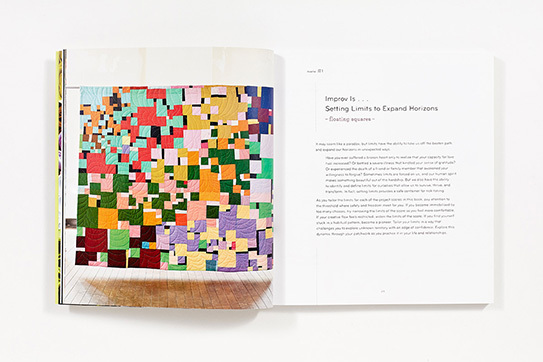 When we look through the pages of Kristine Vejar's debut book, The Modern Natural Dyer, we're met with a sense of wonder about the origins of the natural hues that color our world. Officially on sale this week, Vejar demystifies that process, sharing user-friendly techniques for dyeing yarn, fabric, and finished goods at home with foraged and garden-raised dyestuffs and natural dye extracts. In explicit, easy-to-follow detail, Vejar explains how to produce consistent, long-lasting color. With stunning photography of the dyes themselves, the dyeing process, and 20 projects for home and wardrobe (some to knit, some to sew, and some just a matter of submerging a finished piece in a prepared bath), The Modern Natural Dyer is a complete resource for aspiring and experienced dye artisans. We were lucky enough to have the chance to learn about natural dyes and processes straight from Kristine as she kicked off her book release tour on the east coast this past week. We were also thrilled to welcome Kristine into our office to show us a thing or two about natural dyeing techniques this week! Click through the gallery below to see images from our demo session. If you're looking to learn some techniques of your own, you can follow along on Kristine's upcoming blog tour, with each stop offering a chance to win a copy of the book and one of the 4 dye kits pictured below! Heather Jones's Quilt Local is coming to bookshelf and a blog near you! 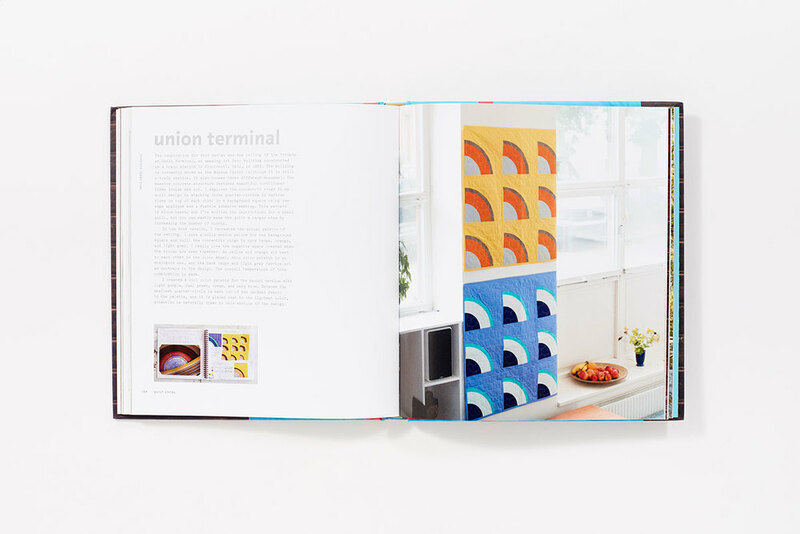 We're so inspired by the interplay of colors, shapes, and space in this book, and we know you will be, too. That's why we're inviting you to join us on a blog tour, kicking off this week! Feeling inspired to make a quilt of your very own? Here's your chance! 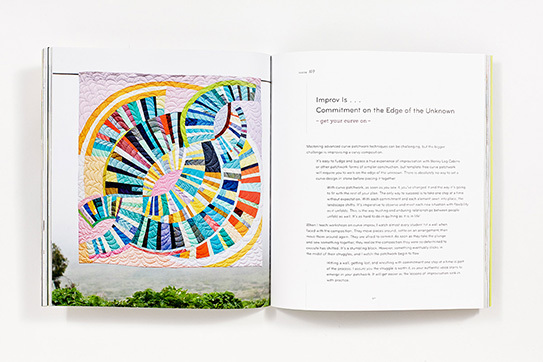 Right now, Creativebug is offering up a chance to win a 3 month course subscription, a copy of the book, and the fabric (from Robert Kaufman), batting (from Pellon), and thread (from Aurifil) to make the Austin quilt! Click here to enter. Stamp, Stencil, Paint Your Way to a Colorful Life! Textile artist Anna Joyce believes that we should all live with color and pattern every day. Now, with the release of Stamp, Stencil, Paint, so can you! In this beautiful and approachable new book, Anna Joyce shares her signature hand-printing techniques for adding color and pattern to ready-made surfaces like fabric, ceramics, paper, leather, furniture, walls, and more. Inspired by vintage fabric, folk art, shapes in nature, and exciting new color combinations, Anna’s distinctive projects showcase the beauty of the unexpected and the mark of the artist’s hand. Following beautiful step-by-step photography, you'll learn new, easy skills to stamp, stencil, and hand-paint wonderful projects for your homes, wardrobes, families, and friends. September 12th, 1-4pm West Elm, Portland - book signing and trunk show. September 13th, 2-4pm, Collage on SE Division - official book release party for Stamp Stencil Paint! book signing and hand stamping DIY project. October 2nd, 8-5pm, WeMake PDX Maker Market at The Armory - Book signing and trunk show. September 18th, 7:30-9:30pm Textile Arts Center, Manhattan- book signing and workshop Click here to reserve your spot! Can't make it to one of the events above (or can't get enough of Anna)? You can still get involved and learn from her with this fabulous giveaway from our friends over at Creativebug, going on now! . After a successful book tour, Sherri Lynn Wood is still making waves! You may have met the multi-talented Sherri Lynn Wood on her cross-country tour to launch The Improv Handbook for Modern Quilters this spring. If you missed her, here are a few lovely recaps from events at Thimble Pleasures in Chapel Hill, NC; Sewingly Yours in Lewisville, NC; and Malaprops in Asheville, NC. If you managed to catch Sherri on tour, then you may know that she received over 250 requests and 165 completed submissions for the ten test quilt scores in the book. You may have even seen some online or on display at recent shows like Modern Quilt Guild's QuiltCon in Austin earlier this spring. Good news: if you happened to miss them (or if you can't get enough of them), you can join Sherri for a test quilt blog hop going on right now! Click the link above to see where test quilters will be showing off their variations of Sherri's test patterns, and get inspired to try one out on your own! 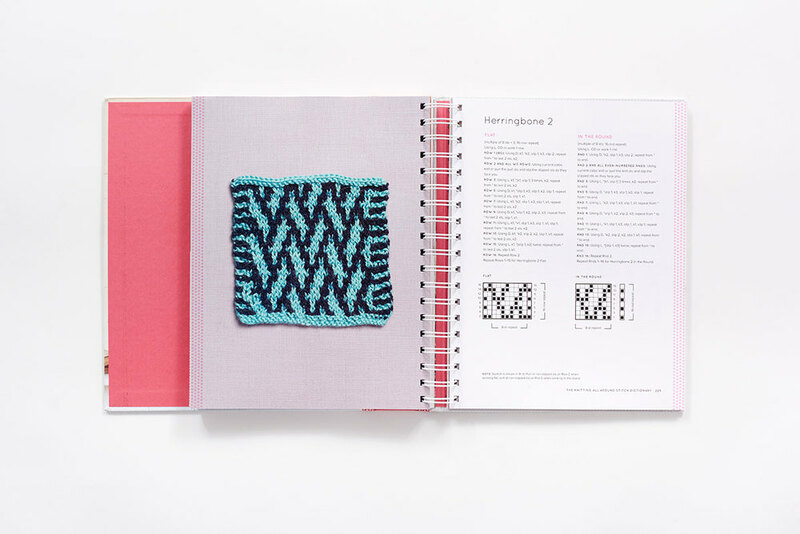 Have you tried one of Sherri's patterns from The Improv Handbook? If so, we'd love to see your results! 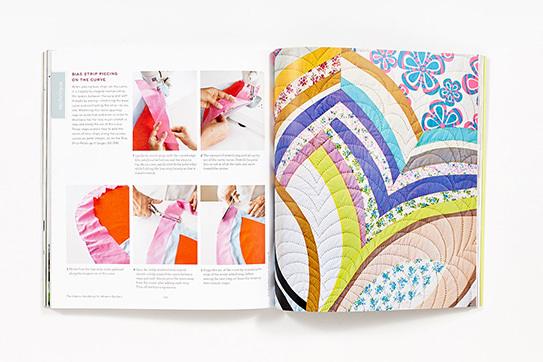 Sherri Lynn Wood is taking the sewing and quilting world by storm with her new book, The Improv Handbook for Modern Quilters. And now, she's crossing the country to help spread the word—and you can join her! We kicked off the tour on Friday, May 8th, with a performance at Sew Modern in Los Angeles. Check out these bright and inspiring images plus a great recap from the event on Sherri's blog, Daintytime, here. San Diego MQG, Quilt in a Day, 1955 Diamond St., San Marcos, CA 92078. Register in advance. Triangle MQG, Durham Catering, 3710 Shannon Rd. Suite #117, Durham, NC 27707. Register in advance. Front Range MQG, Jefferson County Fairgrounds, Exhibit Hall 3, 15200 W 6th Ave Frontage Rd, Golden, CO 80401. Register in Advance. And if you can't join Sherri as she travels from state to state (or even if you can! ), you can be part of the action by following along on her month-long blog tour this May. 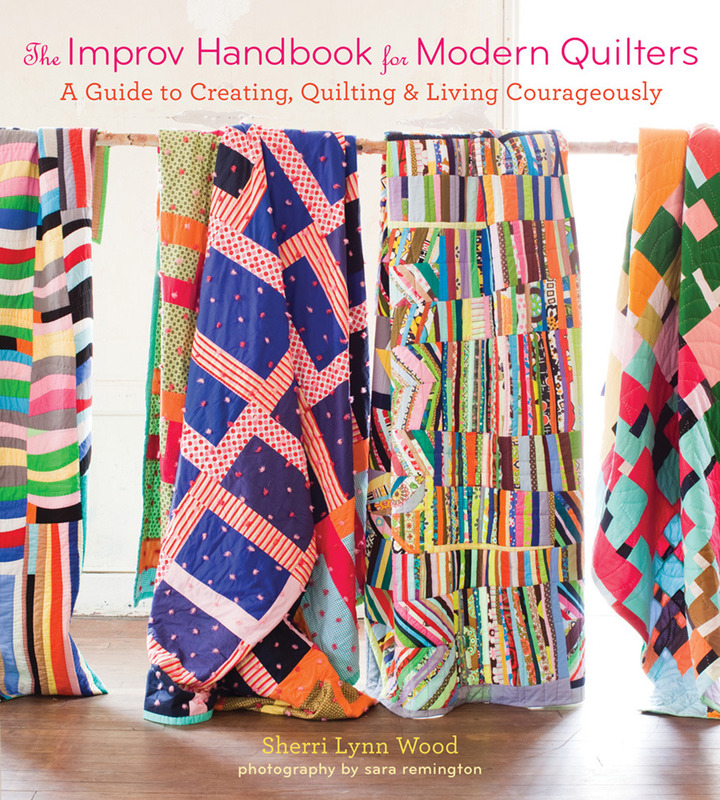 The final piece in our fabulous lineup of spring releases is Sherri Lynn Wood's Improv Handbook for Modern Quilters: A Guide to Creating, Quilting, and Living Courageously. For the quilter looking to break free from the confines of step-by-step instructions and predictable patterns, Wood (of Daintytime.net) brings a flexible approach to quilting that knocks traditional instruction aside. Instead, she presents 10 frameworks (or scores) that create a guiding, but not limiting, structure. To help quilters gain confidence, Wood also offers detailed lessons for stitching techniques key to improvisation, design and spontaneity exercises, and lessons on color. Every quilt made from one of Wood’s scores will have common threads, but each one will look different because it reflects the maker’s unique interpretation. 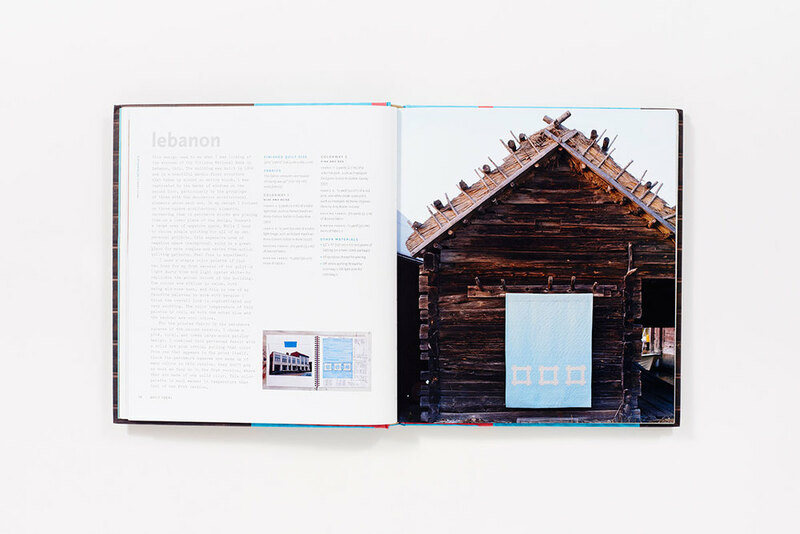 Featured throughout the book are Wood’s own quilts (more on view here!) and a gallery of contributor works chosen from among the hundreds submitted when she invited volunteers to test her scores during the making of this groundbreaking work. For inspiration, you can check out some variations on her Rhythmic Grid score in this image gallery. Sherri is also coming to a shop or guild near you! Check back later this week with more info on her in-store national book tour. First stop: this Friday, 5/8, at 6:30 pm at Sew Modern in LA! And that's not all—all month long, Sherri will be making digital appearances on favorite blogs from Sew Mama Sew to Spoonflower. Check out the full list of blog tour participants here!